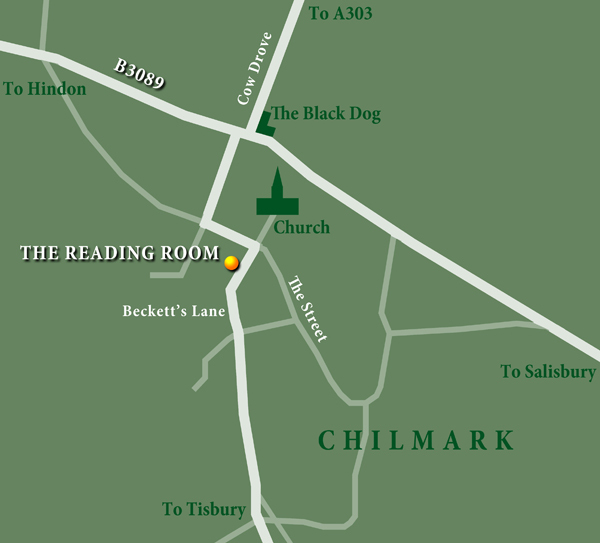 Chilmark Reading Room, Becketts Lane, Chilmark SP3 5BD (map at bottom of this page). Jenny Gavin 01722 716306 to arrange collection of keys. The above rates do not include cleaning before or after use. This is the responsibility of the Hirer unless otherwise agreed. A charge of £10 will be levied if the Hall is not left in a clean condition afterwards.